A high-interest savings account can be a great way to save towards a financial goal, whether it’s a new car, overseas holiday or a deposit on your first home. The main benefit is seeing your savings grow with a higher rate of interest. Most savings accounts offer a compound interest rate that is more competitive than the rate offered on your average transaction account. They can also be a convenient and safe way to invest your hard-earned savings: unlike other types of investments, you are very unlikely to get a negative return. There are many high-interest savings accounts to choose from in Australia – some offered by online lenders, others by small banks, or Westpac, Commonwealth Bank, NAB and ANZ. Each offer different features and interest rates, so it’s important to compare savings accounts to find the product that’s right for you. One of the first things to look for when comparing savings accounts is the interest rate on offer. Securing a competitive interest rate can make a big difference to your savings over time. Our savings accounts calculator can show you how. Is the interest rate offered an introductory rate? Sometimes called a ‘honeymoon rate’, an introductory rate is a high interest rate that only lasts for a certain period before reverting to a base rate. For example, a savings account may have an introductory fixed bonus rate for three months. After that time is over, the account switches over to the lower standard variable rate. Is the interest rate offered a bonus rate? A bonus rate is a savings account interest rate that only applies if certain conditions are met, such as having an automatic savings plan with the lender, making a minimum monthly deposit, making a limited number of withdrawals in a month, or having a linked transaction account with the same lender. Bonus interest rates can help you save regularly and be disciplined with your spending. On the downside, some find them inflexible – especially if you can’t deposit a regular amount into your savings account each month, or you want unlimited access to your funds without missing out on a high interest rate. What is the base rate? This is the standard interest rate for a savings account – the rate your savings account will revert to once the honeymoon period is over, or if you don’t meet the conditions for the bonus rate. When you compare high interest savings accounts, it’s important to look at the base rate, not just the introductory or bonus rate, to find the best savings account interest rate on the market. How easily you can access your money – and whether you pay a hefty fee to do so – is also worth considering alongside interest rates when searching for the best savings account in Australia. Although many lenders don’t charge fees for maintaining a savings account, check if the product has any monthly account fees, branch deposit fees, ATM withdrawal fees or other transaction fees attached to it. Accessibility is another aspect to consider. If you plan to leave your money untouched to accrue interest, an account with a limited number of withdrawals and a higher interest rate may be your cup of tea. On the other hand, if you need to be able to access your money at any time, an account with ATM facilities and unlimited transfers may be more suitable. Finally, it’s worth checking whether you can link the savings account to your existing bank account, or whether you will need to open another account with the lender. For example, if you open an ANZ savings account, you may be required to have a transaction account with them as well. If you aren’t an existing customer, this can lead to complications and additional bank fees. Term deposit account and savings account: what’s the difference? As you compare savings accounts, you may come across term deposit accounts and wonder how they differ from a savings account. As the name suggests, a term deposit account locks away your money for a certain period – usually between one month and five years – at a fixed rate of interest. 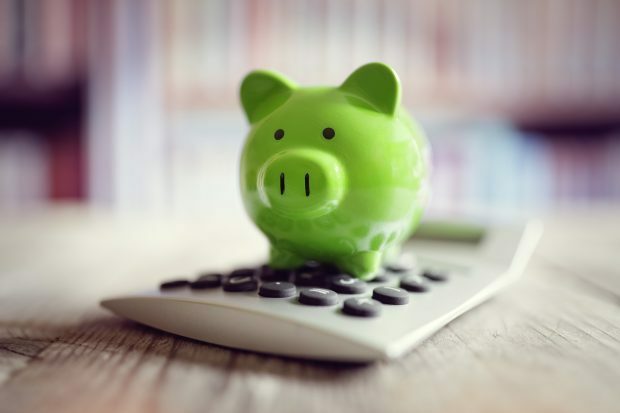 Unlike many high-interest savings accounts, a term deposit doesn’t have an introductory or bonus rate, and usually requires a minimum deposit amount. If you choose to withdraw your money before the term is finished, the lender may charge you a penalty fee. As a low-maintenance investment that’s relatively easy to set up, term deposits may suit savers who want to earn interest over time, or who want to shelter their funds from being spent. On the downside, a fixed interest rate means you won’t benefit from any increases in the market interest rate. 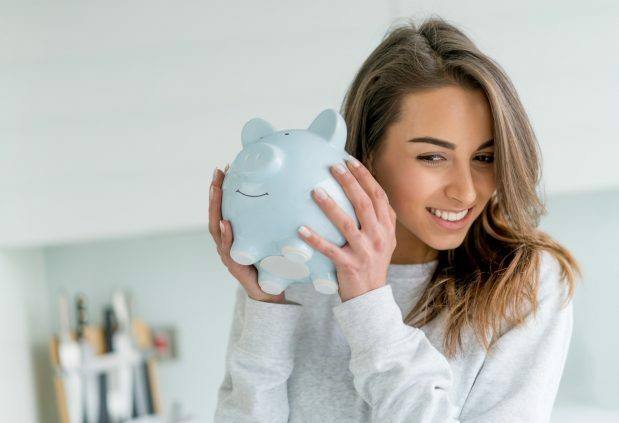 Finding the best high-interest savings account will largely depend on who you are: your lifestyle, what type of saver you are, and the financial goals you want to achieve. There is no ‘one size fits all’, which is why it’s worth taking the time to compare high-interest savings accounts on the market. A consistent saver – consider a savings account which offers a bonus interest rate. Regular and disciplined savers will be rewarded with a high interest rate by simply making a minimum deposit each month. An impulsive saver – a savings account with a great introductory rate may be for you, though remember to check the maximum amount the rate applies to. Some people ‘hop’ from lender to lender to take advantage of high interest introductory rates on the market. For example, you might put your money into a Commonwealth Bank savings account to get the higher introductory interest rate, then once the honeymoon period is over, search for another lender with a similarly competitive introductory rate and switch. Whatever your approach, make sure you check the terms and conditions before signing on. The digitally savvy saver – if you prefer to do all your banking online, you might benefit from a high-interest savings account with an online lender, or bank that offers an online product. These types of savings accounts tend to have higher interest rates, as they require less overhead costs. The couple saver – a joint savings account, which two or more people can access for deposits and withdrawals, might be a suitable option if you are living with a partner you trust and are both saving towards the same financial goals. Keep in mind there are two types of joint accounts: one which requires two parties to approve transactions, and one which allows either party to approve. The junior saver – many banks offer high-interest savings accounts for children, often with bonus interest rates thrown into the deal. Opening a savings account can be a good way to teach children how to save regularly. To be eligible for an account, your child generally needs to be under the age of 16. The senior saver – a pensioner high-interest savings account can help you grow your retirement funds if you’re over the age of 55 and receiving the age pension. Many come with features that make it easier to manage your money, such as unlimited access, a debit card and bill pay. The investor – a cash management account can be useful if you want to earn a high rate of interest while having the ability to trade shares or move funds between investments. While a cash management account may not offer the most competitive interest rate compared to other types of savings accounts, they generally have better accessibility to your funds and faster transfer times. The business saver – high-interest business savings accounts offer a more competitive interest rate compared to business transaction accounts, allowing you to grow surplus cash while setting aside money for things like tax payments. Make sure you do your research to find the best bank for a savings account: many lenders require you to open a business transaction account with them, and minimum balance requirements may apply. How safe is the money I put in a bank? How do I apply for a high-interest savings account? details of the transaction account you want to link the savings account to. Make sure you are familiar with the terms and conditions before signing up for a high-interest savings account. The better informed you are, the more likely you’ll find the product that’s right for you.